Hell, Purgatory and Paradise is based on Dante's 14th century epic poem Divine Comedy. The allegorical poem details the afterlife journey of the soul toward God in three parts. Even though the poem was representative of the medieval world-view as propagated by the Western Church at that time, Dante’s work was intended to be literary, not purely theological. It reflected a deep desire to understand the mysteries of life and death. It was on this basis that Adeel uz Zafar formulated a similar quest to make sense of the new world order, or rather, disorder. At a deeper level, it probes and asks questions about the personal, social, political, religious and philosophical; while retaining that sense of whimsy and skepticism seen in his previous works. At no time are the answers to these questions suggested, perhaps alluding to life being about the journey, not the destination. 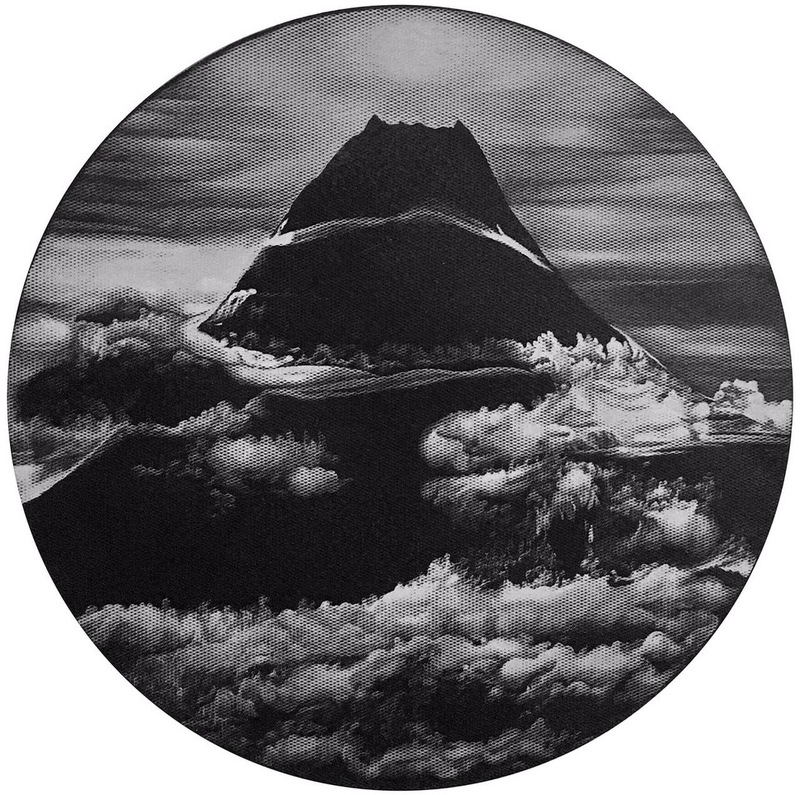 The works reveal new developments in uz Zafar’s self-developed unique technique of etching on vinyl with the use of different tools. The scale of the new works are also much more intimate than his previous works, reminiscent of the traditional miniature paintings of South Asia. Hell, Purgatory and Paradise opens on Friday, 22 September 2016, 7-9pm. Join us for an Artist's Tour of the exhibition on the same day at 6.30pm. 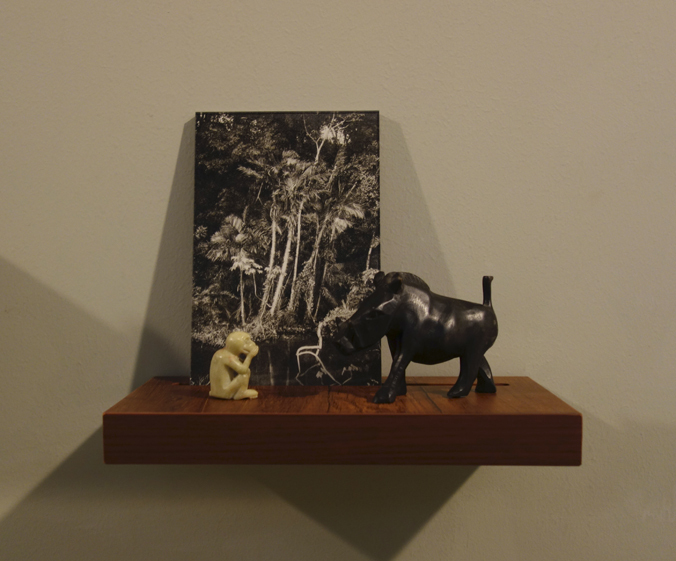 Der Baum Als Kunstwerk, loosely translated to The Tree as a Work of Art, is a group exhibition curated by Alexandre Robinet Borgomano on the relationship between man and nature. Other participating artists include Ai Weiwei, Joseph Beuys, Michael Sailstorfer, Rikuo Ueda, Bryan Nash Gill, Herbert Golser, David Nash, Johannes Domenig, Mirko Zrinscak, Guiseppe Penone, Lois Wagner, Sam van Aken and Carl Andre and what unites them all is their love for wood and trees. 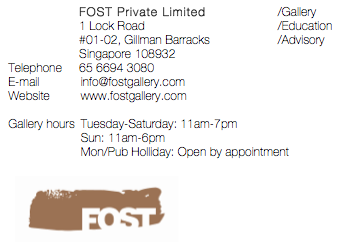 Donna Ong will be showing 5 works from the Postcards from the Tropics series and films The Forest Speaks Back (I) and (III). A Short Story, Somewhere, Out There (2017). Photo courtesy of the artist. The September series of MACAN First Sight will feature performances by Arahmaiani, Heman Chong, Duto Hardono, Mella Jaarsma, Justin Shoulder and Xu Zhen. Heman Chong’s A Short Story, Somewhere, Out There (2017), will be presented in an enclosed room isolated from the general public and will comprise a simple task - an exchange of a short story between the writer, translator, instructor and participant. The performance will be held at Museum MACAN on Saturday, 9 September at 2pm. A discussion programme, First Sight forum "Performative Territory" will be held on Sunday, 10 September, 2-5pm at the Public Space, MACAN. Artists participating in the discussion are Arahmaiani, Heman Chong, Duto Hardono, Mella Jaarsma and Justin Shoulder. More details on both events here. Spectrosynthesis - Asian LGBTQ Issues and Art Now, a group show featuring the work of Jimmy Ong will open in September at the Museum of Contemporary Art (Moca) in Taipei. Co-hosted with The Sunpride Foundation it is the first major exhibition dedicated to LGBTQ themes at an art museum in Asia. The exhibition showcases works created by twenty-two artists from Hong Kong, Taiwan, Mainland China, Singapore, as well as ethnic Chinese artists based in the United States and Canada. More details on the exhibition here.